All too soon, the temperature will start to climb and air conditioning units all over Tampa will be kicking into overdrive. But an air conditioner doesn’t last forever, and when we finally hit those peak summer temperatures, no one wants to suddenly have a broken unit. Replacing an air conditioner when you want to is a much better option than waiting until it breaks. If you replace it at your convenience, it gives you time to decide what kind of unit you want, how to fund the replacement, and research to see if you might qualify for a rebate from your electric company. Most units are meant to last approximately ten to fifteen years. Finding the age of the unit can be as simple as checking the owner’s manual that should be included with the house. The home should have also had a recent home inspection that would offer those details as well. If the unit is nearing the ten-year mark, it’s time to research new ones. When the homeowner’s electric bill has continued to increase without the addition of other appliances or fixtures in the house, the most likely culprit is an aging HVAC. An inefficient HVAC will require more energy to run, and an HVAC costs the consumer more than any other appliance in the home. Replacing the unit could drop the energy bill down by 25-30% or even more depending on the unit. That amount can help offset the price of replacement substantially. 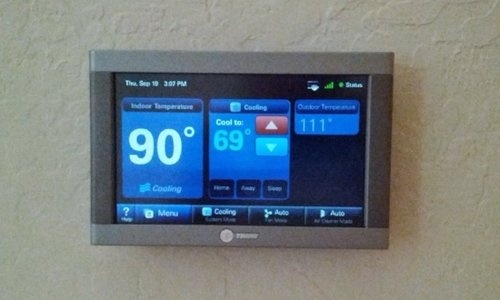 The homeowner who has the HVAC service and repair company repair on their speed dial has a problem. While it is a good practice to have the name and number of a good quality professional easily at reach, it’s not typical to need them frequently. It may be time to ask what they would suggest in a new unit if the old one is continually breaking down. The amount spent on repairs could also offset the cost of a new unit. Another indicator that the unit may be weakening is if the temperature inside does not seem to be dropping even when the unit is continuously running. While a ceiling fan may help, a good HVAC unit won’t cool a house unevenly or not at all. Lastly, thumping, whirring or other odd noises coming from the unit are a concern that the unit is nearing its end. Newer units are quieter, more efficient and you may not even hear it running. Rachel R. of Tampa replaced her unit last year. “The old unit looked like a rusty old scow and sounded like a jet taking off whenever it was on, which was all the time in the summer. After I got the new unit, I saw my electric bill drop by half, the unit is quiet, and it’s always cool now,” she says of her new HVAC. 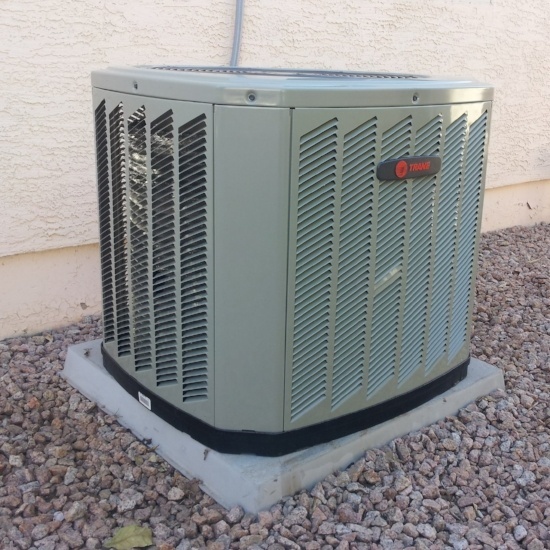 If you have concerns about your HVAC unit such as the ones listed above, or a matter that wasn’t covered, it’s time to talk to a professional about new-unit options. Sometimes, an HVAC has a lot of life left in it and needs a simple adjustment or repair. But without talking to a pro, there is no way to know for sure. If you want to consult with an expert, give us a call! We’d be happy to help. CMB Air is residential heating and cooling installation, service, and repair and company with 15+ years of experience serving Tampa and surrounding areas. If you need a new air conditioning unit, a repair, maintenance or some other service, we can help! Call 813-461-6243 today!